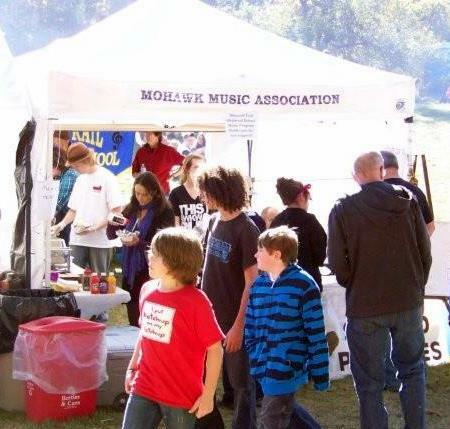 The two biggest fundraisers for the Mohawk Music Association are coming up on Columbus Day weekend. Usually they are on separate weekends, but this year they will be on the same weekend. Watch your student's backpack for a flyer with additional information about both of these events. We hope we will hear from you. Come meet other MMA members, help out and have some fun in the mix. Evey pie, every pie server, every baked potato baker and every baked potato server helps to make it a little easier to make these events a success. Won't you give us a little of your time or talent to help this worthy cause? Thank you for your consideration. p.s. The next meeting of the Mohawk Music Association is scheduled for Tuesday, October 8 at 6:30 pm in the Mohawk school library. We hope to see you there!